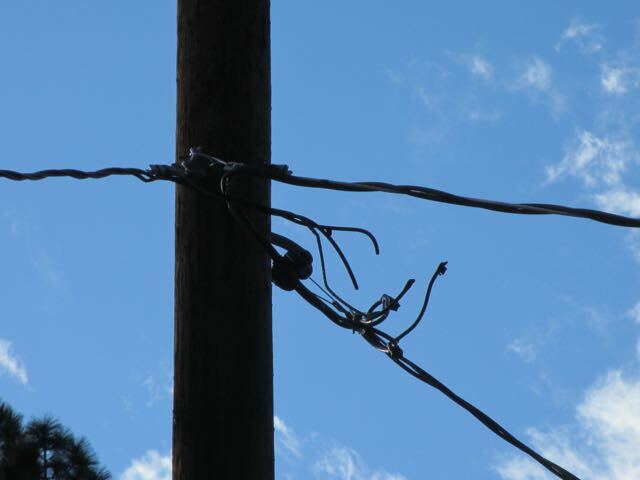 (1) HAS YOUR POWER BEEN CUT? Meeting of those whose power has been cut by DTE over a smart meter issue, or those who are facing imminent threats of shutoff. Of the thousands who have refused smart meter installation, a small number of families had their service cutoff. We have been asked to setup this meeting so that folks who are facing this situation can share experiences and options for how to cope and for next steps. There will be information about generators and solar panels and also about your legal choices. If this is your situation we need to hear from you. Please email: fdshel@gmx.com or phone: (248) 604-7545. Let us know if you are interested in attending such a meeting, what city you are in, and whether you are currently without power. When we get an idea how many are interested we will determine a meeting time and suitable location. We will try to schedule this meeting for April 28th, 29th, or 30th. 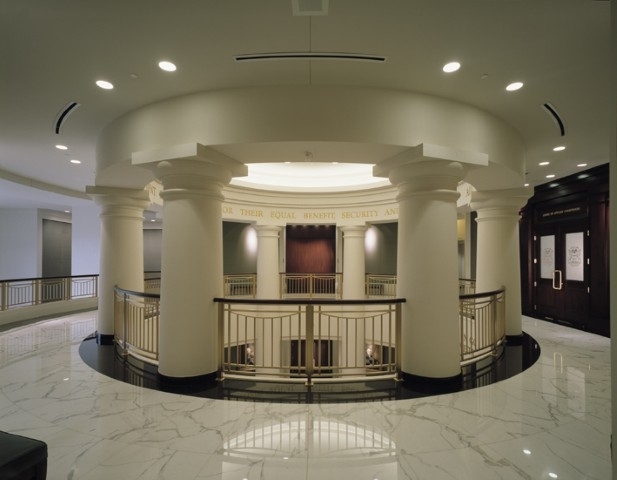 Why the recent appeals court decision upholding the decision of MPSC with respect to DTE opt-out program does NOT foreclose other legal avenues of resistance. Why it is so hard to find a lawyer who will take a smart meter case and provide competent representation for a fee you can afford. Why smart meters are illegal in Michigan, and existing laws that are not being enforced. Your right to represent yourself in court protected by order of U.S. Supreme Court. 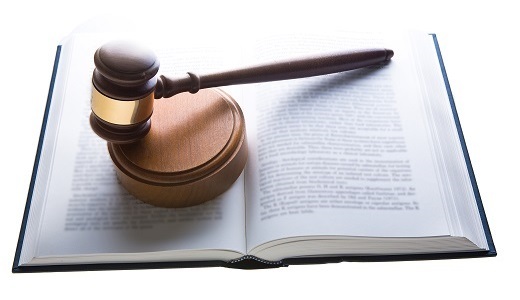 How to prepare a Complaint that states a cause of action for which a trial court can give relief, how to obtain a summary judgment against DTE resulting in a court order that DTE may not make their smart meter a condition for receiving electrical service. How to obtain money damages if you have been without electric power for a considerable length of time. Issues triable by jury and those not triable by jury. If you are interested in attending such a meeting, presented by someone who has successfully represented himself in court on many occasions, please email: fdshel@gmx.com or phone (248) 604-7545. Let us know what city you are in and what day of week works best for you. When we get an idea how many are interested we will determine a meeting time and suitable location. We are shooting for first or second week in May. 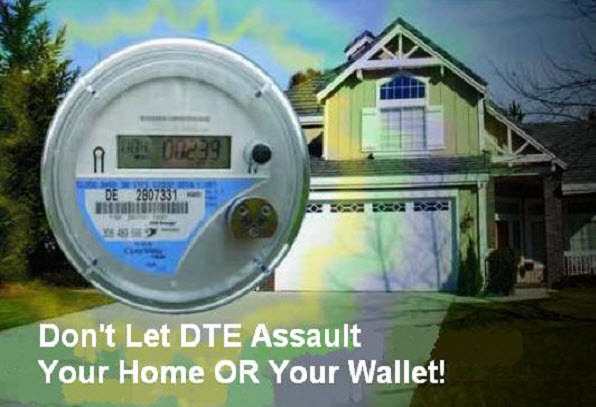 DTE Electric Company, a wholly owned subsidiary of DTE Energy, on December 19th 2014, filed an application to the Michigan Public Service Commission for what is known as a “general rate case”. In their application they ask for approval to slightly lower electricity rates for some classes of high volume commercial users while substantially raising rates across the board for all classes of residential customers. A typical residential customer would see an increase of $13.70/month if DTE’s application is approved. DTE states that they are not asking for an increase in opt-out fees at this time as they believe such action would be ‘premature’ until there is more data on costs and participation levels. Nevertheless, we cannot rule out the possibility that the Commission will increase opt-out rates based on a possible recommendation from staff. DTE is asking the Commission to again approve the AMI program as providing benefits to the utility customers substantially in excess of the costs that are being passed on to the customers. They are also asking the Commission to approve expansion of what is known as the “demand side management program”. Stripped of the jargon, what this means is that the company will be more aggressively seeking to control how and when residential customers may use electricity for certain appliances. This is an inevitable outgrowth of smart meters and smart appliances. The company will doubtless argue that the new programs will be ‘voluntary’. You may simply put in “an appearance” in the case in order to get your comment on the record. This means coming to the “pre-hearing conference” on Thursday, January 29th at 9 am, before Administrative Law Judge (ALJ) Sharon L. Feldman at the Commission’s new address: 7109 West Saginaw Highway, Lansing, Michigan. Upon arrival be sure to put your name on the sign-in sheet to speak so that they will call on you. The ALJ will likely set a time limit, such as 3 minutes or 5 minutes for each person wishing to comment. We hope a very large number of citizens who are upset with this smart meter program will take advantage of this option. There is no cost to do this other than about ½ day of your time. You may choose to become what is called an “intervenor” in the case. This will allow you to take an active part over the weeks and months of hearings, including the submission of written evidence and witnesses, participation in cross-examination of DTE witnesses, and the writing of a brief in which you make arguments based on the evidence and the law as to what decision the Commission should make on DTE’s application. To become an intervenor you must file a “Petition to Intervene” with the Commission at least 7 days prior to the pre-hearing conference, or by Thursday, January 22nd. This is a course that will require a considerably greater commitment of your time and a willingness to acquire at least some familiarity with the rules of procedure and the rules of evidence. If you wish to become an intervenor, we can help. Some of us who have been down this road before will lead a workshop to help others if there is sufficient interest. The first step, however, is to read Part II of “Practice and Procedure Before the Commission” at: http://www7.dleg.state.mi.us/orr/Files/AdminCode/934_2009-046LR_AdminCode.pdf. Then read DTE’s application at: http://efile.mpsc.state.mi.us/efile/docs/17767/0001.pdf. Based on these 2 documents, draft your petition to intervene. Your petition can be created as a Word document or pdf document and attached to an email to the Executive Secretary of the Commission. Call me at (248) 604-7545 if you need assistance with creating your petition. Scope of an Intervention: You can choose to limit your participation to only the smart meter issues OR you could choose to also challenge the across the board rate increase for residential customers. Either way you are going to need to present admissible evidence. But if you choose to challenge the rate increase you are probably going to need to present a witness who can be qualified as an expert on the economics and accounting procedures of the utility industry. What is the Real Value in Becoming an Intervenor? The real value is the opportunity to get evidence in the record that will effectively counter DTE’s claims and will, therefore, make it harder for the Commission to simply rubber stamp DTE’s application. If the Commission simply ignores the evidence that intervenors supply, it may become necessary for one or more of us to bring an appeal of the Commission’s final decision to the Michigan Court of Appeals. But first we must get evidence on record, or get on record the fact that our evidence was excluded from the record. In the wake of the very successful hearing December 2nd public hearing before Tom McMillin’s House Oversight Committee we think the Commission and the ALJ will be more cautious about dismissing intervenors or ignoring their evidence as they have so often done in the past. Mark Your Calendar! The long awaited appeals of the DTE smart meter opt-out plan will be heard by the Court of Appeals in Lansing on January 13th, 2015 at 10 AM! It is important that we have as many as possible attend! b) the plan requires payment of extortionate “opt-out fees” which will prevent many from opting out and are only likely to be increased in future years. The MPSC effectively did mandate smart meters by its opt-out decision and lacked statutory authority to make such a mandate. The opt-out decision cannot stand because there was no consideration of what benefits, if any, the so called opt-out meters provide the opt-out customers in exchange for the fees being imposed. For a more detailed discussion of the issues raised by this appeal see the discussion at: http://smartmetereducationnetwork.com/optout-status-appeal-mpsc-decision.php. The scope of the MPSC hearings of DTE’s opt-out proposal was improperly limited by the administrative judge. No consideration was given to the type of meter to be offered opt-out customers, no attention to privacy concerns and no attention to the fact that many opt-out customers would be paying fees just to maintain the health they had before smart meters were deployed. The administrative judge incorrectly applied a doctrine of “managerial prerogatives” to limit the jurisdiction of the MPSC regarding issues profoundly affecting the welfare, health and privacy of utility customers and the public. Issues ruled “beyond the scope” in this case based on the notion they had been addressed in earlier MPSC cases had not, in fact, ever been addressed at all. Appellants were denied the opportunity to establish an evidentiary foundation for their complaint that both the ‘smart meter’ and the ‘non-transmitting’ opt-out meter violate the Fourth Amendment to the U.S. Constitution. The two above appeals were consolidated into one for hearing purposes. 1) The court may uphold the decision of the MPSC and deny both appeals. 2) The court may find that the decision was illegal because the MPSC exceeded the authority granted it by the legislature. 3) The court may find that the decision must be reversed because the scope was improperly limited by the MPSC so as to prevent building a record of competent evidence to support the decision. In this case the court would likely remand the case back to the MPSC for a do-over, with specific instructions about issues they must consider and types of evidence they must hear the second time around. 4) The court may find that the decision must be reversed and remanded to MPSC with instruction to consider what benefits, if any, the opt-out plan provides the opt-out customers. PLEASE COME AND SUPPORT US! THIS COULD BE A DAY OF VICTORY FOR ALL OF US WHO HAVE RESISTED THESE METERS! YOU WILL BE GLAD YOU WERE THERE TO SEE IT FIRST HAND!!! Michigan Stop Smart Meters is proud to present two new events for folks wanting to better understand the menace that Michigan utilities are visiting upon the unsuspecting people of this state! 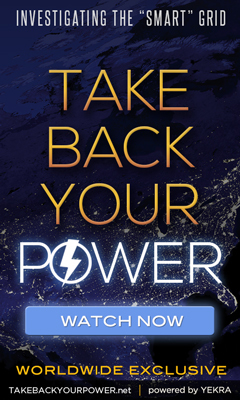 Saturday December 7th – ‘Take Back Your Power’ – a new controversial film by Canadian filmmaker Josh del Sol. From 11 am to 2 pm. Sunday December 15th – “Should We All Opt Out?” – A lecture exploring the ‘smart’ meter issues in depth with a discussion on what our options are as Michigan residents. Since the May 15th Order of the Michigan Public Services Commission, many are wondering if they must now pay expensive fees to avoid the harm of these meters.